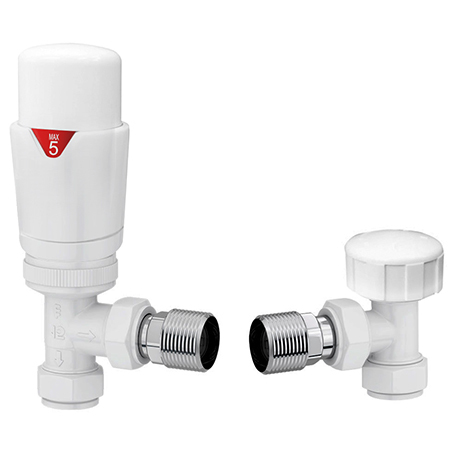 Matching angled white thermostatic radiator valves complement our range of heated towel rails and radiators. Beautifully engineered to integrate into any modern or minimalist bathroom. A thermostatic radiator valve allows you to control the heat output of an individual radiator or heated towel rail. The head contains a temperature sensor which controls the opening and closing of the valve thereby keeping the room at a constant temperature. May be fitted on the flow or return pipe of the central heating system. The plumber found it difficult to tighten without damaging the white coating.